In a world first, Saving Downs has secured a commitment from the New Zealand Human Rights Commission (HRC) to address prenatal discrimination against the Down syndrome and wider disability communities. The HRC has agreed to give high priority to this work under their monitoring role for the United Nations Convention on the Rights of Persons with Disabilities (CRPD). The work will include the right to life, prenatal disability screening, euthanasia and other bioethical issues. Most importantly, the perspectives of disabled people and their families will be central to the work. This is a milestone event in our advocacy. It is a great foundation for moving ahead with positive change for our community and we are delighted with this outcome. As the project is framed within the CRPD, this work can immediately be brought forward into the wider international arena for those countries that have ratified the CRPD. Saving Downs first raised concerns with the HRC back in 2009, with a number of submissions outlining our concerns that the targeting of those with Down syndrome for selective abortion breached human rights under the Treaty of Rome. At the time, the HRC did not address our concerns. Ultimately this led to laying a formal complaint before the International Criminal Court in June 2011. That complaint has subsequently been placed on hold pending the outcomes of the current work with the HRC. A breakthrough came in September 2011 when David Rutherford was appointed Chief Commissioner of the HRC. Before taking up his new role, David was the managing director of Special Olympics Asia Pacific. He also held positions as Chairman of Special Olympics in New Zealand and was on the Special Olympics International Board. At the same time, Paul Gibson was appointed as the inaugural Disability Rights Commissioner. Suddenly, things were looking promising for advancing disability rights in New Zealand around our area of advocacy. So, in October 2011 Saving Downs and the Spina Bifida Association of New Zealand met with David Rutherford to discuss our concerns relating to the practice of antenatal screening in New Zealand and the impacts on the Down syndrome and Spina Bifida communities. At that meeting the Commissioner agreed to formally receive our detailed submission on the application of the CRPD in relation to antenatal screening for disability. Seven organisations resolved to formally support that submission including Down Syndrome International, the New Zealand Down Syndrome Association and People First. The group submission requested the HRC develope an action plan where there are areas of conflict between the screening programme and the CRPD. In November 2013 six Autism advocacy groups joined the group submission. The HRC have now reviewed the submission and have developed a work plan around bio-ethical issues and disability that will be a high priority moving forward. The details are outlined in this letter to Saving Downs. The Disability Convention requires governments to reaffirm that every human being has the inherent right to life. Governments shall take all necessary measures to ensure disabled people effectively enjoy this right on an equal basis with others. The right not to be deprived of life is included in the New Zealand Bill of Rights Act. Issues such as euthanasia, pre-natal testing, termination of pregnancy, access to medical care and assisted suicide are often discussed in the context of the right to life. These matters can inspire strong passions which may polarise people within the community. This can make it difficult for a disability perspective to be recognised or heard. However, bioethical and legal issues like these can be of particular significance for disabled people. In many cases, the potential impact of changes can be far greater for members of the disabled community than for other population groups. The voices of disabled people, their families and Disabled Person’s Organisations (DPOs) need to be at the forefront of national debates in relation to these matters. That high priority be given to the perspectives of DPOs, disabled people, and their families in relation to policy development on the right to life and bioethical issues which have a high impact on disabled people and/or public perceptions about disability. The IMM is made up of HRC, the Office of the Ombudsman, and the Convention Coalition of Disabled Person’s Organisations (DPOs). DPOs include People First, who strongly support this work and others such as Disabled Persons Assembly (DPA). The other groups involved in our joint submission are not in the Convention Coalition. People First are in a strong position to take this issue forward with government, and will be engaging with us in this regard. The government has chosen to nominate Robert Martin, a person with an intellectual/learning disability and a leader within People First, to election for a position on the CRPD, a first in the world. If Robert is successful in the 2016 election, he will take up a position on the committee and increase his, and the New Zealand disability community’s, influence on the monitoring and interpretation of the convention. The Commission has bio-ethics and disability rights as a priority for the next two years. The extent and speed of bringing this work to fruition depends on attracting partners and funding. As part of this I am working with Strive, a group of young leaders within the Down Syndrome Association, introducing as sensitively as possible the issues around screening, encouraging those who want to be involved to learn more and to be able to speak from their own lived experience perspective, and respecting those young leaders who choose not to be part of such a conversation. I have been engaging with the Donald Beasley Institute (DBI) (which focuses on intellectual disability research with a strong rights approach) on how to use their expertise on bio-ethical issues, and with DBI and Otago University on developing a centre for research excellence on disability issues, and developing and sustaining a disability research program, along with other interested organisations and tertiary institutions. I have met with the Otago Bioethics centre in response to their article on Down Syndrome screening. They are willing to engage with the Commission more regularly, including bio-ethics conferences. They were interested in being part of a dialogue on screening, including DBI, people with Down syndrome and their families, as the Commission would like to host such a dialogue in Dunedin as part of our bio-ethics work. I have met with international lead thinkers, including Michael Stein (Harvard Disability law Project leader) and Janet Lord, who are both interested in doing further work on this issue. 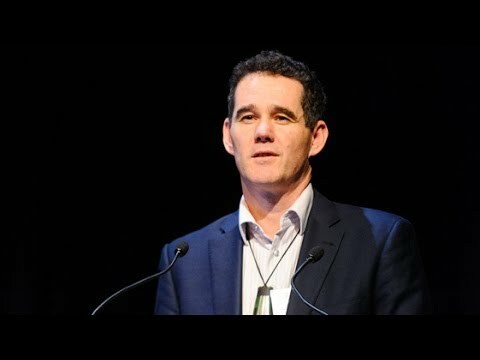 With New Zealand nominating Robert Martin, who Michael knows and respects from their experience in the development of the UNCRPD, there is an increasing interest in how New Zealand develops its responses to bio-ethical issues and screening, and an increased willingness to support New Zealand and be part of finding a world leading response consistent with the CRPD. Thirdly, Paul Gibson has presented a paper to the HRC’s Board framing a number of bio-ethics and disability rights issues that have come to the Commission. Sometimes this is framed as a conflict of rights and values. While abortion as an issue, and polarises people, the disability community spanning both sides have disentangled the pro choice/pro life debate from the issue of prenatal disability screening, and also recognises the voices and opinions of those who reflect and represent the impairment/condition being screened for. Most decisions at government or personal level are not informed by such perspectives. The disability community thinking is reflected in the CRPD committee decisions and some international legal opinion, while other legal opinion differs. Downstream effects of the screening program include bullying, trauma, and pressure on children, pregnant women, and women who have or haven’t aborted. Death with dignity, euthanasia, either self determined, or determined by family or clinicians. A private members bill is likely to be reintroduced to parliament after the election. The conflict between the right to life and the right to self determination goes back to the origins of human rights thinking in the tauiwi western whakapapa. Views are passionate and polarised, and strongly influenced by a particular personal experience. Also newborn disabled children may be deprived of the necessities of life for treatable injuries and conditions, when an adult with a similar condition would always be treated and rehabilitated. Though for some disabled people they say death with dignity is a legitimate goal to pursue, they still say of greater priority is legislating for and ensuring life with dignity consistent with the CRPD. The economics of health rationing and Genetic research are advancing and leaving behind the ethics and rights based responses to the questions raised. Prevention of impairment is assumed to be desirable. Disabled people’s voices are seldom part of the decision making mix. Underpinning a disability rights perspective is identity, many of us might choose to be someone different, and many of us would choose who we are but prefer to live in an inclusive world. We are delighted to reach a point where the HRC has listened to, heard and acknowledged our important concerns and is taking positive action. We look forward to continuing our work with them and People First in building a culture than honours and respects the diversity of all humanity, including those with Down syndrome and other genetic variance. Our families deserve to be fully accepted and included on an equal basis with others. We are delighted to play our part in building a better world for our families. Thanks must go to the Disability Rights Commissioner, Paul Gibson, who has shown such commitment, leadership, endurance and integrity for taking this project on within the commission. Thank you Paul. And thank you to all our supporters for walking with us in this journey. My congratulations and thanks to Mike, family, and all in SDS family. This is significant recogniton. Wyn Evans, Wales. Thank you Wyn. This is a great achievement and we are really pleased for our families. Congratulations! This is nearly breathtaking in its ramifications. Including the disabled in the discussion – its about freaking time! Go NZ!